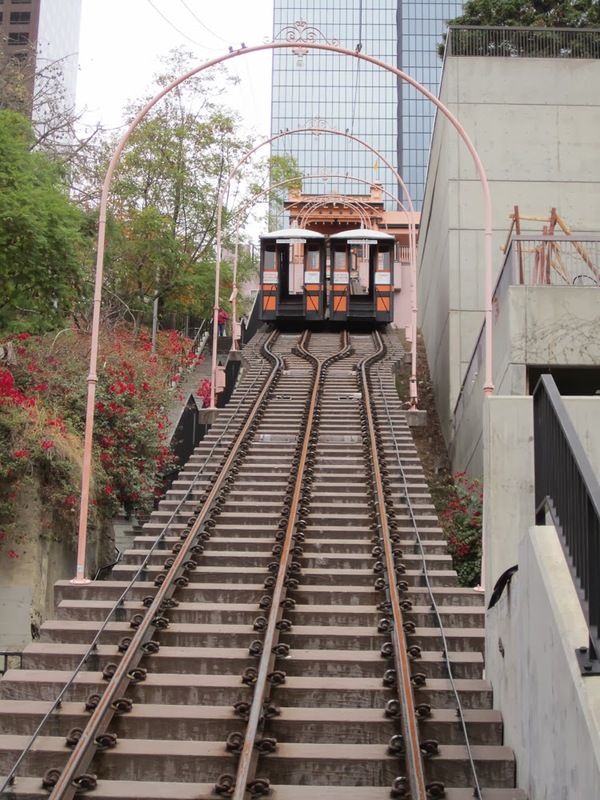 A job interview in Los Angeles on December 20th meant I had to travel down there and get around the city. My choice was to use transit and avoid the use of a car for the entire trip. 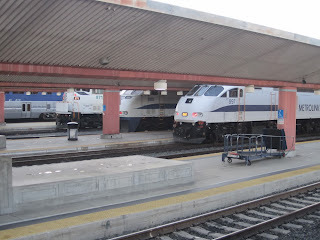 I could have taken Amtrak from Portland and it would have been about $50 cheaper than flying if I had to pay but I cashed in my frequent flyer miles and got a free round trip ticket to Los Angeles which included a free upgrade to first class on the trip back – bonus! My first preference would have been to fly into Burbank which is more convenient and has better transit access but it would have been 15,000 more miles for the ticket which is beyond what I had or wanted to spend so LAX would be the spot I flew into. 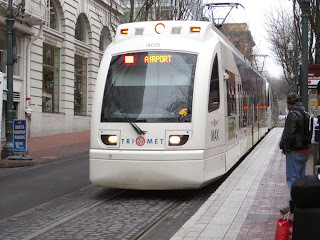 My trip started off with a ride on TriMet bus 56 and the Red Line to Portland International Airport. I stopped and got off at all the Red Line stations from Parkrose to the Airport to get pictures of the station surrounds that I am planning to use on future blog postings. I arrived at the airport in plenty of time for my 2:53 flight out of PDX. 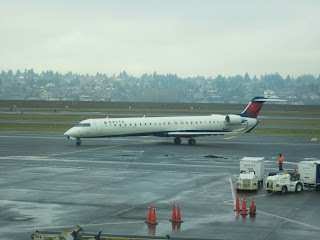 The flight was on a Canadair CRJ 900 and I was in row 10 which is the half-way point on the craft. Because of the small luggage racks on these plains they take your suitcases on the jetway to put them in the planes storage area (in other words a way to get around check baggage fees presently). The plane was on time into LAX but it took 15 minutes for them to unload the luggage onto the jetway so I missed the 5:00pm Flyway bus. I despise LAX, and have avoided it for years as I normally fly into Burbank if I am using transit or Long Beach if I am renting a car. My only time at LAX prior to today since I originally moved out of Los Angeles was to change planes on my way to Railvolution in Miami in 2007. The Southern California Rapid Transit District had long abandoned running buses into LAX (or where kicked out by the airport authority for taking parking revenue from them, not sure which) and today there is not direct transit service from LAX to downtown LA as the last vestige of service the 439 was cut a few years ago. 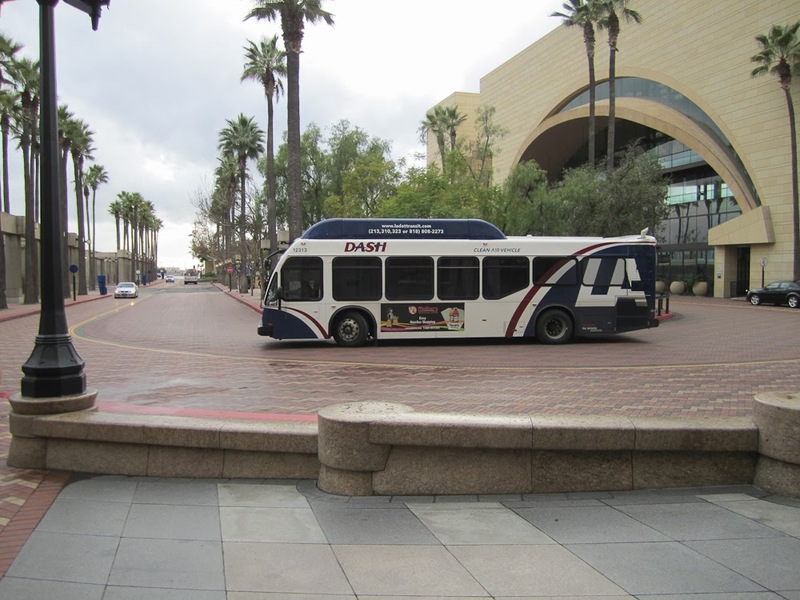 What is offered by LAX is a direct bus from the airport to Union Station which cost $7.00 (two dollars more than a Metro Day Pass). This is a great alternative for people however it should be noted that for those traveling by transit beyond Union Station you still have to buy an additional fare. The other option is to use the Green Line shuttle to the Green Line to the Blue line and go from there. 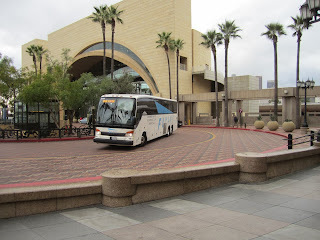 I decided to use the Flyaway bus to Union Station then transit to my hotel which was near Wilshire Boulevard. I was hoping to get Union Station in time to catch a Los Angeles Department of Transportation (LADOT) DASH bus to 7th and Spring and another DASH bus to my hotel after getting some food. One of situations I have been critical of is letting too many people use the HOV or (HOT) lanes. Eventually you have so much traffic using them they eventually become worse than the general purpose lanes. That was what our Flyaway bus faced on both the Century and Harbor Freeway lanes as they were either as crowed as or more crowded than the general purpose lanes. To make matters worse once the lanes ended it was a parking lot all the way to Union Station. 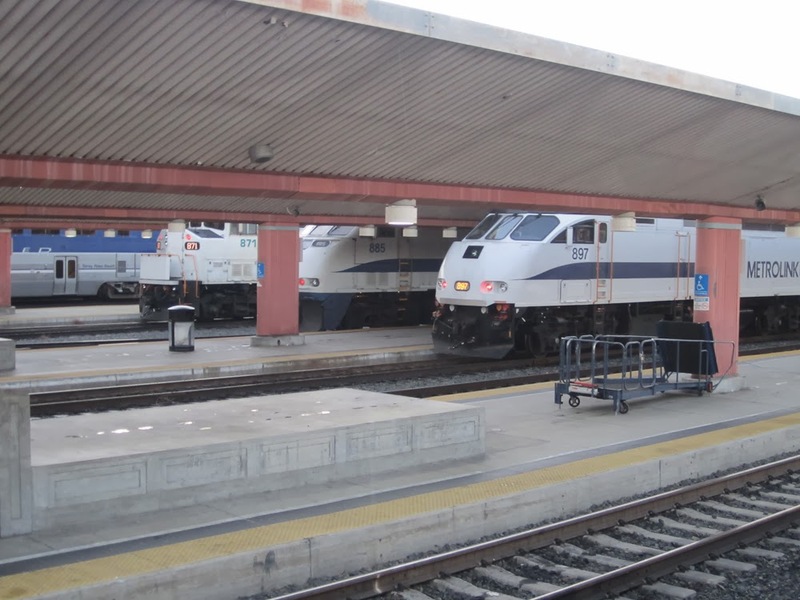 The driver called her dispatcher to attempt an alternative route but was told no and to deal with the traffic but get to Union Station immediately because she was already late for her next run. Flyaway estimates 30 to 45 minutes for the trip but on this day it took an hour and a half. I worried that I had missed the last DASH bus out of Union Station but I texted to check if one was coming and as it turned out one was due in 3 minutes. I took the DASH bus to 7th and Spring where I bought some food then head toward my hotel. I knew the last bus on the next route I needed I already left so I walked to my hotel. Normally I have no problem walking as have walked up to 15 miles in a day but when you are dragging a suitcase it makes it a little more difficult. The next day I woke early as I had a test to take at 8:00am and had to pass the test to be able to go into the interview session in the afternoon. Trying to save money I decided to walk the 2 miles from my hotel to the human resources office of my interview. I was not sure what time I would have available today so I figured why waste money on riding transit when I could walk. 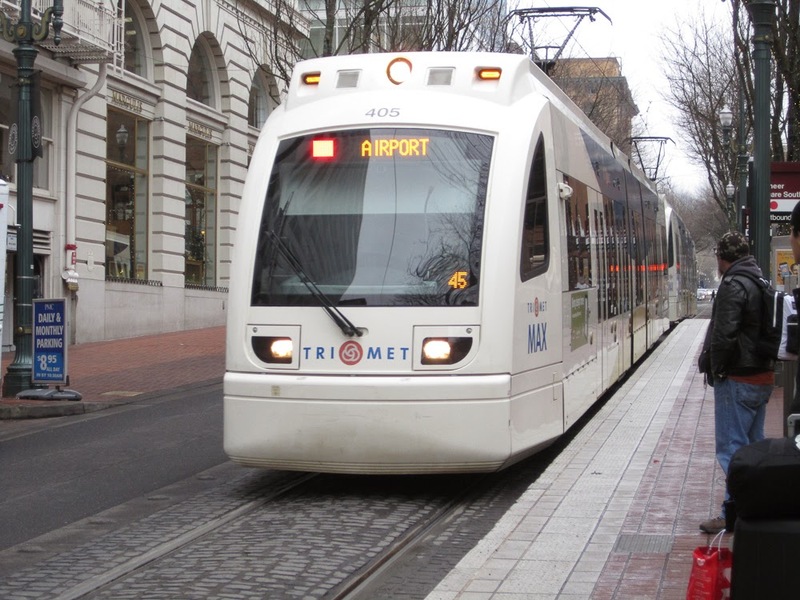 As it turned out my test which was supposed to be a 4 hour test was only 2 hours and since the interviews did not start until 1:30pm left me with time to take the Metrorail to the Metro/7th station and take my first ride on the Expo Light Rail line. 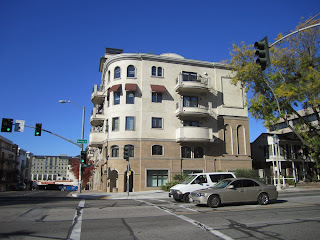 I then returned for my interview then headed back to downtown to just walk around and take pictures. I was hoping to ride Angel’s Flight however every time I am in downtown Los Angeles (ok its only been three or four times in the last 7 years) it is closed for one reason or another and today was no different. I did some more walking then rode a DASH bus to my hotel. My flight out was not till 6:00pm so this gave me more opportunities spend some time in Los Angeles. I took a DASH bus to the Gold Line and rode it one station to Union Station where I was hoping to store my luggage but that didn’t work out. 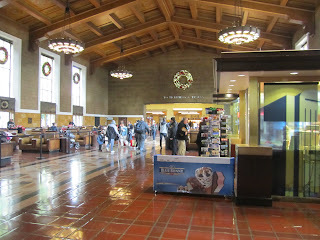 I then took the Gold Line to East Los Angeles and then to Pasadena where I took a walking tour of the area I grew up in. 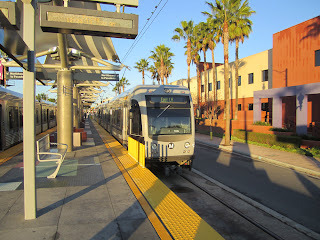 I then rode the Gold Line back to Union Station then the Red/Blue/Green lines to LAX. After this trip I have ridden the entire Gold Line, the Purple Line to Normandie from Union Station, the current Expo line, the Blue line to Willow, the Green Line from the Rosa Parks station to Redondo Beach and back to the Aviation Station, and of course the El Monte busway before anyone even thought of the “Silver Line”. I my flight back would have been uneventful except I was flying First Class for the first time and our plane was a freshly delivered 737-900 with new plane smell. While these new planes have a beautiful interior, they have been the new luggage racks even smaller. 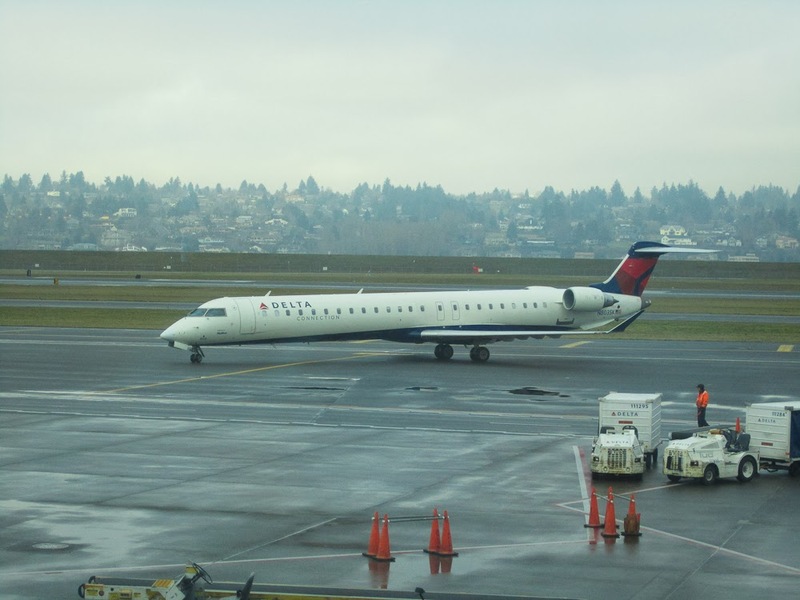 Our plane arrived on time back into Portland but it took almost 15 minutes for our luggage to arrive which means I just missed one Red Line train which meant I had a 45 minute wait in downtown before catching the 35 and 78 buses home. 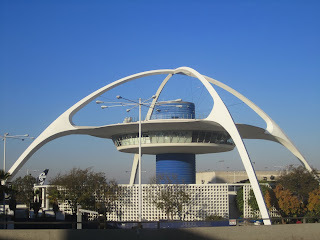 -First for those flying into LAX is horrible transit wise. 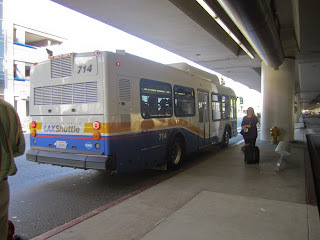 There is little information on how to use transit at the airport itself with the airport trying to drive people to its parking lots and Flyaway bus services. It is about them making the most money, not what is best for the traveler. To top it off, my ride on the Green Line shuttle to the airport from the Aviation station would turn off most casual users. The driver had to be the rudest driver I have ever encountered, she did not announce stops, and when we came to Terminal one she barely slowed to a stop giving no one time to stand up if they wanted the stop. In addition they use the lower arrivals level because they pick up and drop off at the same time which can cause crowding and once you get off the shuttle at least at the Alaska terminal there was no information on how you get to the upper level. Just poor customer service all around. -Second, with Los Angeles Union Station being a major hub it would be nice if there was a place to store luggage. Amtrak said they would only do it if you had a ticket for that day even if you were a Amtrak Rewards member. The problem I have with Amtrak is their incredible inconsistency in policy. Some stations will not do it at all (Reno comes to mind), others will do it for anyone. Now before anyone jumps down my throat about being hard on Amtrak, most corporations have a problem with inconsistence and it often depends on the quality of leadership on the local level. 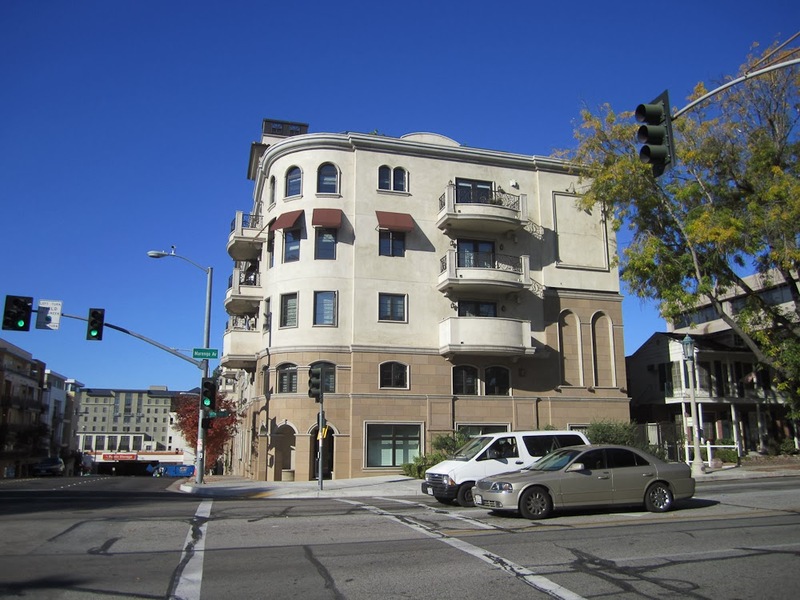 -When the Gold Line was first under construction to Pasadena there was some opposition because of the number of high density developments planned in the city and the worries about more of them. Sadly, some of these people’s concerns seem to playing out as many of the developments I observed appeared to be Transit Adjacent Developments (TAD) not Transit Oriented Development as they created barriers to the street level and seemed to be very auto oriented even the ones located one block from the Gold Line Del Mar station. 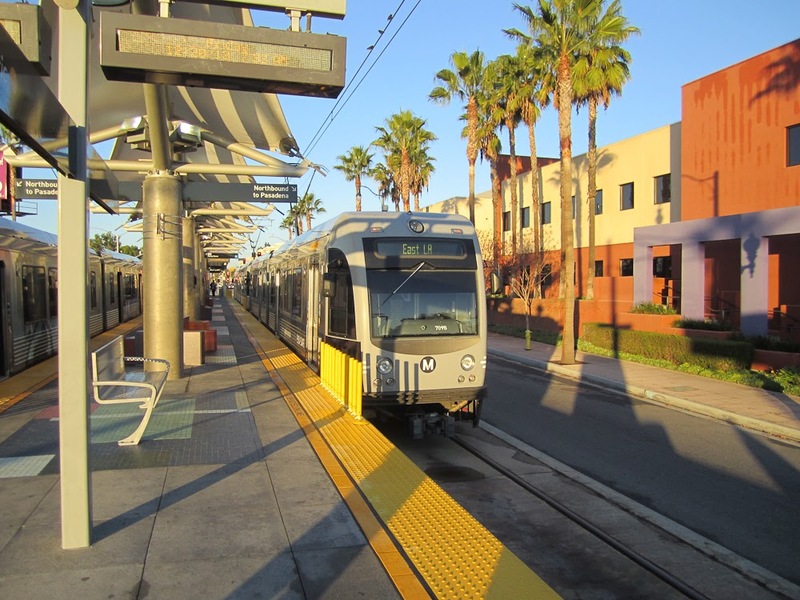 -Most of the Gold Line through East Los Angeles is still very auto oriented and will take several years to start changing which limits the ridership possibilities. 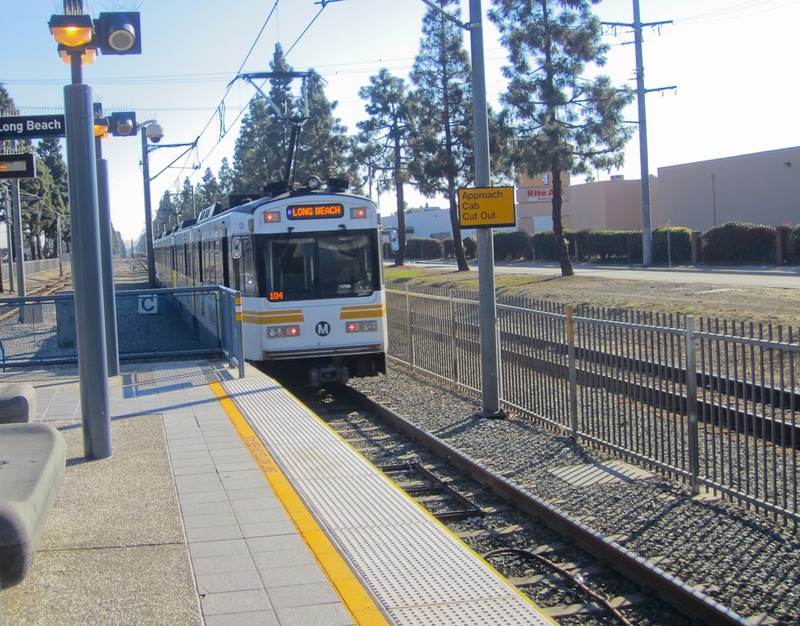 -Traffic signal priority seems to be the major problems that light rail trains seem to encounter in the Los Angeles region. The Expo and Blue Lines encountered multiple delays from traffic lights which delays the overall running of the trains. -That brings up another problem with the Expo Line which is a compromise to the safety record of the Blue Line and that is the overhead structures at several major streets along the line. 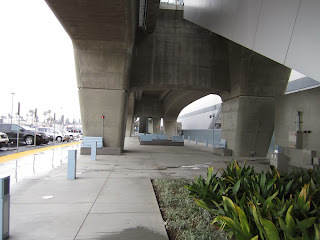 I will use the Culver City station as an example. The overhead structure is almost highway like which creates a big shadow effect on the area. One of the benefits of light rail is supposed to be how it brings life to the city streets but structures such as the Culver City station have the opposite effect. It will be interesting to see if developments happen more around these stations than say near a major highway. 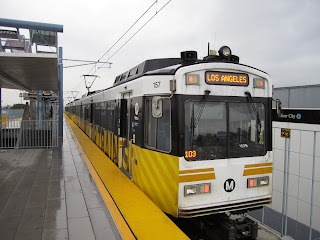 -I grew up in Los Angeles riding transit since I was 10 years old so doing it for 3 days in the city is no problem for me. 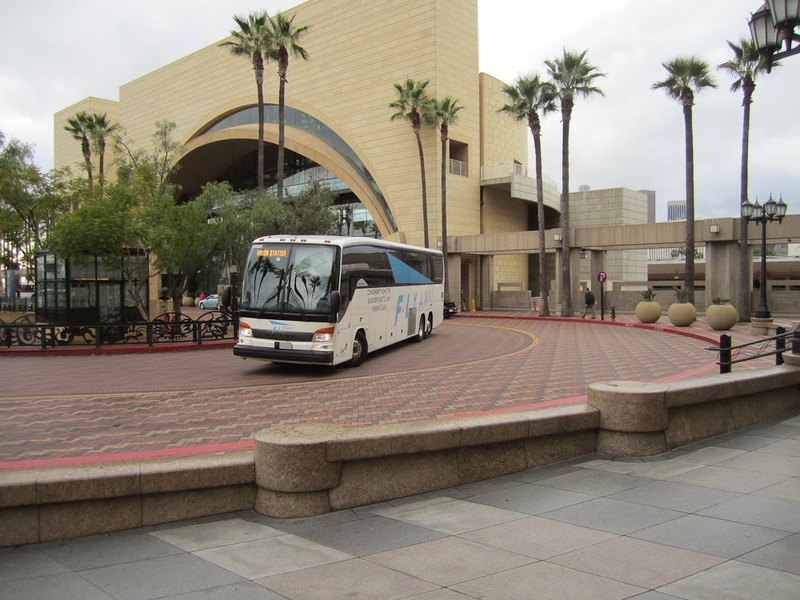 However, if we expect travelers to get out of their cars and use transit more while visiting Los Angeles or any other city for that matter; we need to make services that are convenient, with services they need and customer friendly. Until then few will stop renting cars and looking to transit as an alternative.